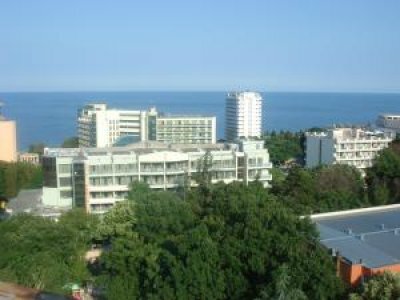 The Perounika Hotel is located about 150 m. away from the beach and from the resort center. rosie shuttttt up haha onli jokien....well times hav past and we have decided not to go bk :(:(! sheep shaggers ovr and out!! Yeah the muppet bar is a great place to go, when we are there we go every night. You'll have a ball! Good times!! hi, all of my friends, have been goin 2 bulgaria for the last 3 years, they stay in pliska hotel and go 2 muppet bar and a place called bonkers i think, they love the place, and i ahve booked this year 2 go in july, with them, can sum 1 answer is the place as good as they say?? Coner u fukin lie haha MARIA is yr girlfriend? does your girlfriend in ireland knows that? Hiya everyone! I`m Rosie I`ve been working in muppet bar since 2004. I hope I`ll meet ever again someboby who regognize me from there! I've been to golden sands 3 times now and cant wait to go back. The night life is fantastic, and the men even better especially 1 tattooe artist i met.. Try the monkey karaoke bar if your going the staff there are great..
hi guys. i was in goldsands one week ago and i was every night in the muppetbar. i love this place. i met the cutist girl ever there, her name was rosi, but 'cause of my stupidity i made something wrong and i couldn't say googbye to her, and to say thank you for the nice time, she gave me. furthermore i have no address of her. that makes me crazy. Flyers girl for moppet were the most beautifull. i have been 5 times in holliday in golden sands, and many,many times in muppet bar, this year also, not singing but like the atmospheare, many familiar faces there , i only now rosi by the name, but she wasnt there this year, and also the blond little girl in the door . they know me by the face and rosi by the name,.I met there a girl name Rena in the street, i miss her . next year again, in august-september. didnt stay at this hotel, but its good to stay at cos the muppet bar is only downstairs!. i loved the singer, she was amazing. the waitress (cant remember their names) were great. the people are really friendly. the amount of legendary english songs they play is great too. and who cant forget nana!. the toilet lady. she's great. muppet bar all the way. i`m going to bulgaria 16.7.2006 with my friend. i love muppet bar! is there anymore pipi, vili and niki??? i need to know, those guys are amazing!! go on rite sumthin in. im missin u's. i love da muppet bar. the toilet lady looks well mad, she looks like that women out of the ring.everyone who i was with where all getin drunk on da tequilas. If u never been in muppet, go there nd u`ll find everything what u wnt.it`s free entry nd u cn get free alcohol! Hi ,we have stayed in this hotel the last 2 yrs , it is a very good hotel , the staff are really friendly , especially in the lobby bar Polina ,Raya & Natalie, Bobby @ the pool is a great guy & very attentive .